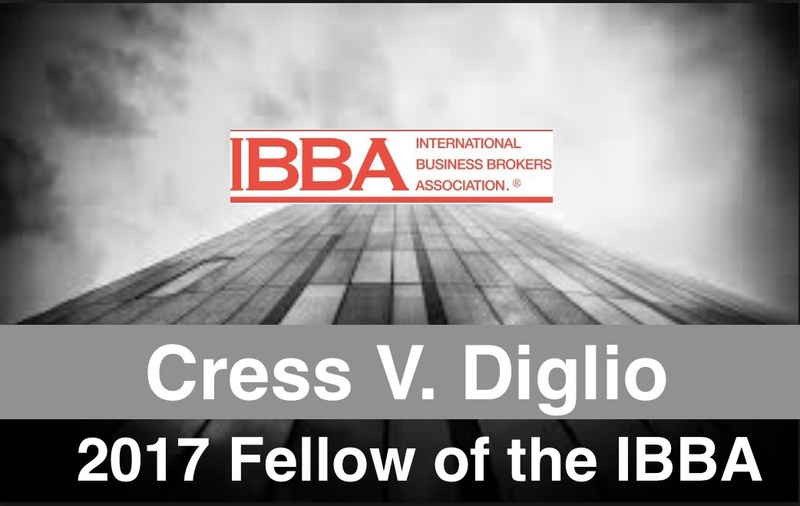 Orlando, Fl., July 9th, 2018 – Cress V. Diglio, Managing Partner of Calder Associates,is honored to announce that he has received the 2017 Fellow of the IBBA Award. This highly coveted and lifetime award was presented to Florida Certified Business Broker, Cress V. Diglio by the International Business Brokers Association (IBBA) during its annual conference in New Orleans. The Fellow of the IBBA award was designed to celebrate the contributions of loyal, long-time members of the IBBA. 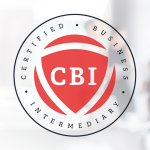 This highly coveted and lifetime award is awarded to members who have their CBI designation and have met or exceeded the established criteria. In order to be considered for the Fellow of the IBBA award, the individual must have been a member of the IBBA for ten years or longer, hold their CBI designation, be in good standing, and have made significant contributions to the association by serving as a director, committee chairperson, presenter or instructor at a conference, or various other association activities. Mr. Diglio has not only met the criteria, but has contributed much of his time and energy to serve the association for the betterment of the members. IBBA, the world’s largest non-profit association for professional business brokers and mergers and acquisitions intermediaries was founded in 1983. With more than 1,200 active intermediaries across Canada, Mexico, Asia, Europe and the United States, the IBBA provides education, conferences, professional designations and networking opportunities for its members, and delivers the quarterly Market Pulse research report to industry. Cress Diglio is Calder Associates Florida based Managing Partner and a member of Calder Associates’ Board of Directors. 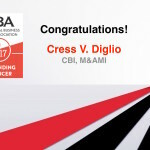 Cress V. Diglio has achieved the Certified Business Intermediary (CBI), Merger & Acquisition Master Intermediary (M&AMI) designations. Mr. Diglio was also the 2015 Chairman of the largest business broker association in the world – the International Business Brokers Association (IBBA) as well as the past IBBA Education Committee Chair and past IBBA CBI Committee Chair. Additionally, Mr. Diglio is a Certified Trainer for IBBA. Mr. Diglio has trained brokers around the world. 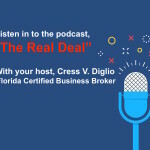 Visit https://floridacertifiedbusinessbroker.com for more information about Cress Diglio and his services. Calder Associates’ mission is to help all qualified business owners and buyers achieve their goals of either selling or buying a company in the most efficient and profitable manner. Calder Associates dedicated intermediaries, staff and network of M&A and business broker professionals provide worldwide coverage. For more information, visit http://www.calderassociates.com. The IBBA provides business brokers with education, conferences, professional designations and networking opportunities. The IBBA also strives to create professional relationships with successful business transaction advisors to increase the value of the IBBA to its members and to be a leader in the exchange of business referrals. Formed in 1983, the IBBA has members around the world. For more information about the IBBA, visit the website at https://www.ibba.org.